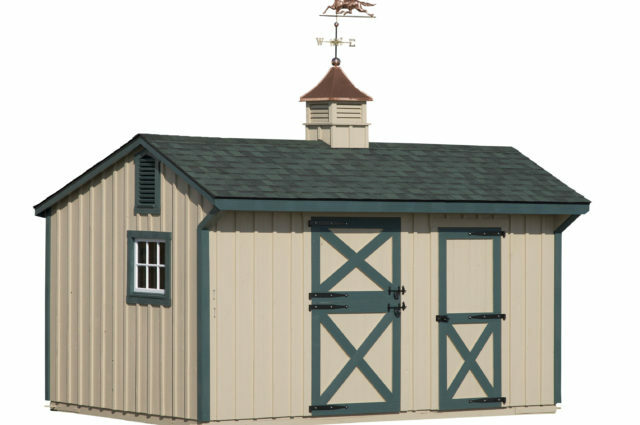 This 10×16 Shed Row barn is equip with one stall with a Dutch door and one tack room. The exterior is finished with tan painted B&B siding with green trim and a green shingled roof with a cupola. 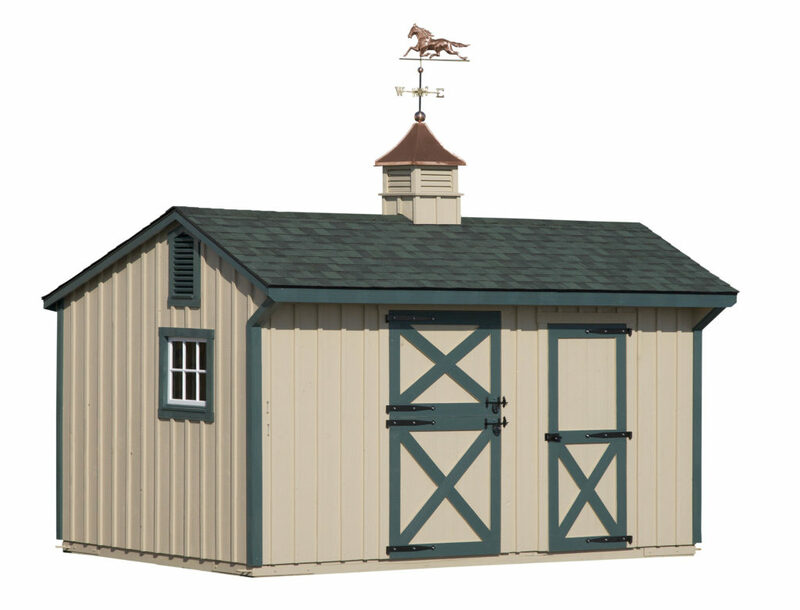 Gable vents and 18×27 windows complete the structure.